Denmark Hill, Lambeth, London SE5, England. 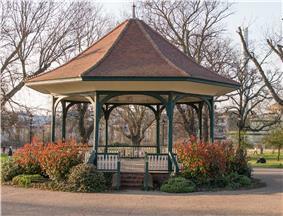 Ruskin Park is situated on Denmark Hill in Camberwell, Lambeth, London, England. 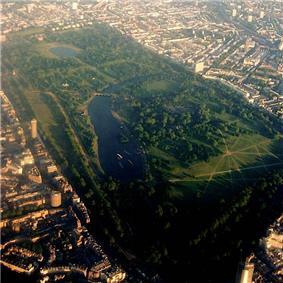 It was opened on 2 February 1907 with an area of 24 acres and in 1910 a further 12 acres were added on the south side of the park. It is named after John Ruskin (1819 – 1900), who lived near to the park. 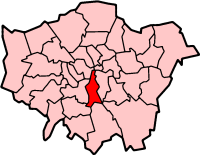 During World War I recruits of the 21st Battalion, London Regiment (First Surrey Rifles) based at nearby Flodden Road in Camberwell, trained in the park. ^ Anon, A War Record of the 21st London Regiment (First Surrey Rifles), 1914–1919, 1927/Uckfield: Naval & Military, 2003, ISBN 1-843426-19-6.